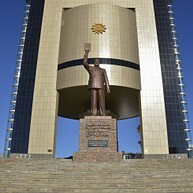 Windhoek is at Namibia's centre in more ways than one: apart from being the country's main political hub by design, it also happens to sit in its very heart geographically, making the city an easy stop over on the way to Namibia's spectacular natural attractions. 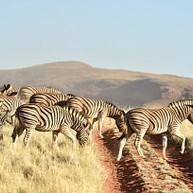 Some of those include the Namib-Naukluft National Park, with its striking Sossusvlei and Deadvlei, Etosha National Park with free-roaming indigenous animals, and the endless stretch of ghastly, striking Skeleton Coast. Currency: Namibian dollar is the official currency, but South African rand are also widely accepted. Few come to Namibia and limit their stay to Windhoek alone, but most who do travel to the country choose to spend a day or two in the easy-going capital. Although attractions are admittedly scarce, there is just enough for a good couple of days with sightseeing and shopping. If you happen to have time on your hands and do not mind venturing out of the city centre, check out the recently inaugurated Heroes Acre (south of Windhoek, down B1), an expansive war memorial commemorating those involved in the Namibian liberation struggle. The sandstone Christuskirche is, despite its modest size and unimposing appearance, somewhat of the city's symbol. 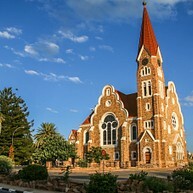 Designed by a prolific German architect, the church marks an important era in Namibian history, and remains an attractive location for locals to exchange vows in marriage. For a closer look at Namibia's historic path to late independence in 1990, visit the Independence Memorial Museum housed inside an imposing modernist building in Windhoek's former colonial heart. The museum was designed by a North Korean construction company, involved in multiple construction projects across Africa, hence the socialist aesthetic. The top floor panoramic restaurant is worth a pit stop. For a brush with spectacular nature and wildlife within a half hour drive from the Namibian capital, Daan Viljoen Game Reserve is hard to beat. 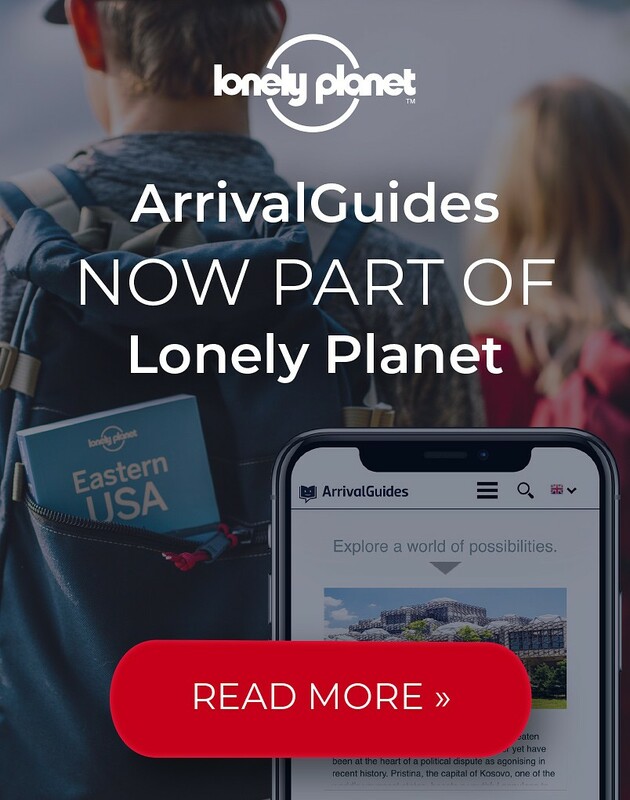 Its vast expanses are inhabited by native animals such as zebra and antelope, along with a couple hundred indigenous bird species. The park is an excellent getaway for picnics and hiking. The oldest surviving building of the Namibian capital was originally built to house the German colonial troops in the late 19th century, now going on to become a museum for Namibia's struggle for independence, as well as a historic landmark in itself. The controversial Reiterdenkmal, an alleged symbol of German dominance in the region, has been relocated from its original place opposite the Christuskirche into the yard of Alte Feste for storage. Windhoek's German-built train station contains a curious museum of old railway memorabilia and antiquated equipment, and still sports Fraktur typefaces on in- and outdoor signs. Original 19th century locomotives are displayed just outside the station. 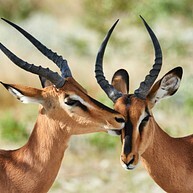 A pleasant green oasis containing several distinct areas with flora indigenous to Namibia. Note that the garden only operates on weekdays (closed on weekends and holidays), except for the second Saturday of the month (opens 8-11am). 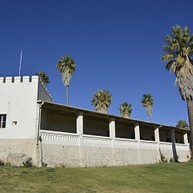 A stone's throw from Windhoek's Christuskirche is the city's liveliest city park, attracting picnickers and lunch breakers from surrounding offices. Although no animals have called the park home for decades, it retains its original name from when it served as a public zoo. An elephant column serves as reminder of the location's past, when it was used as elephant hunting grounds nearly 5 millennia ago. This privately owned nature reserve is a favourite for trekking (Tok Tokkie Trail is often the first pick) and camping trips, offering an experience distinctly different to that of the desert terrain of the Namib-Naukluft National Park. NamibRand is also home to the an International Dark Sky Reserve, recognised for the exceptional clarity of its skies, and offering near-unparalleled stargazing. No journey to Namibia is complete without a substantial amount of time dedicated to the ancient desert lands of the Namib, known for its dramatic sand dunes and wondrous, arid landscapes. 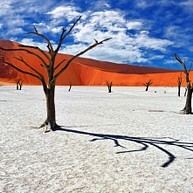 Within the park, two adjoining valleys of Sossusvlei and Deadvlei are a major tourist draw (dead trees rising dramatically from the white clay earth of the latter have been the subject of much photographic exploration), and standing at 80m tall Dune 45 is the one easiest to reach from Sesriem gate. Accessible only by air, this remote part of the country is known to have claimed lives of both beasts and humans (hence the macabre name) - whale carcasses still line the coast, serving as a grim reminder of the once flourishing whaling industry. One of the biggest "attractions" here is the Dunedin Star, a British ship wrecked in the 1940s. 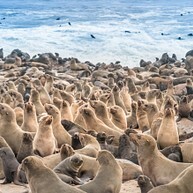 At Cape Cross, the scenery changes: this lively oasis inhabited with hundreds of seals and sea lions frolicking jovially by the water.